As the trending news of the capture of a notorious kidnapper continues to be a hot topic, a disturbing campaign seeking the freedom of Evans has sparked a controversy online. An online campaign with the hashtag #FreeEvans, calling for the release of a kidnap mastermind, Chukwudidumeme Onuamadike, aka Evans, which went viral on Saturday, has sparked outrage on the Internet, particularly on Twitter. 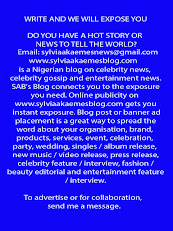 The suspected criminal was arrested on June 10 at one of his houses on Magodo Estate, Lagos State. “Those who are behind the #FreeEvans stuff; may kidnappers locate and kidnap you; bunch of inhumane beings!” a Twitter user with the handle @geotaha stated. Then on Saturday, another Twitter user with the handle, @CarxSan, said in a series of tweets that drew the ire of other users, “So if you all can look the other way when the politicians get cleared of wrongdoings and get mad at the #FreeEvans tag, then we should do more. Insults were enormous and my mentions were a storm but you are all missing something important. #FreeEvans. Meanwhile, there are indications that the police will extend their investigation into the criminal activities of the notorious kidnap kingpin beyond the shores of the country. Competent sources revealed to SUNDAY PUNCH that the police was exploring Interpol to unravel Evans’ activities in Ghana and South Africa. Our correspondent also gathered that the suspect would be charged with kidnapping, murder, armed robbery, and drug trafficking. Two houses owned by the 36-year-old in Accra, Ghana were discovered as he also confessed to trafficking drugs during his stay in South Africa in 2007. 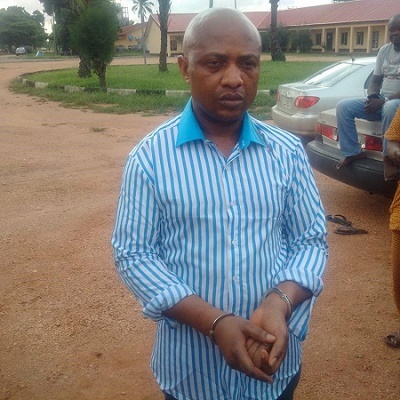 Evans, who was arrested in his mansion on Magodo Estate, Lagos, on June 10, had also told journalists how he had linked up with different gangs to hijack three bullion vans in Abia and Enugu states, carting away N200m in one of the operations. Six of his gang members, Nwosu Chukwuma, aka Sudo, 42; Suoyo Paul aka Nwana, 42; Felix Chinemerem, 36; Chukwuemeka Bosah, 28; Uchechukwu Amadi; and Ogechi Amadi, were also paraded. A senior police officer hinted to our correspondent on Saturday that investigators would soon visit South Africa and Ghana to conduct further investigations into the case. Attempts to get the comments of the Force Public Relations Officer, Moshood Jimoh, on the case were unsuccessful as he did not respond to calls made to his mobile phone. He also had yet to reply to a text message sent to him as of press time.